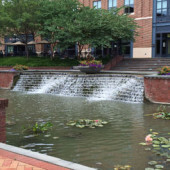 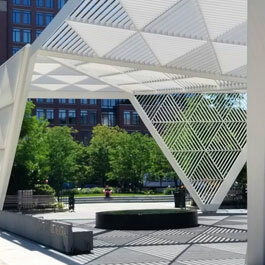 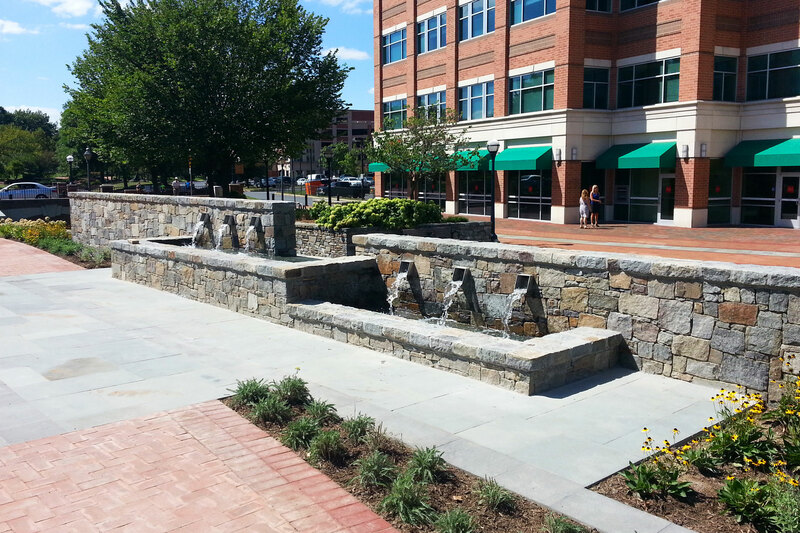 This phase of the Carroll Creek revitalization project included a retail water feature. 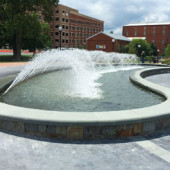 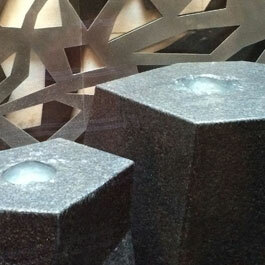 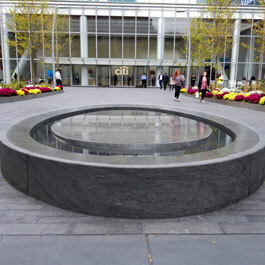 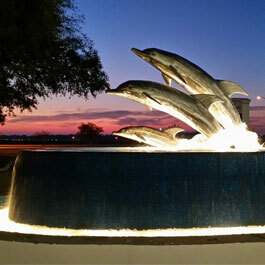 One side of the fountain has custom stainless steel scuppers, fabricated by Delta Fountains. 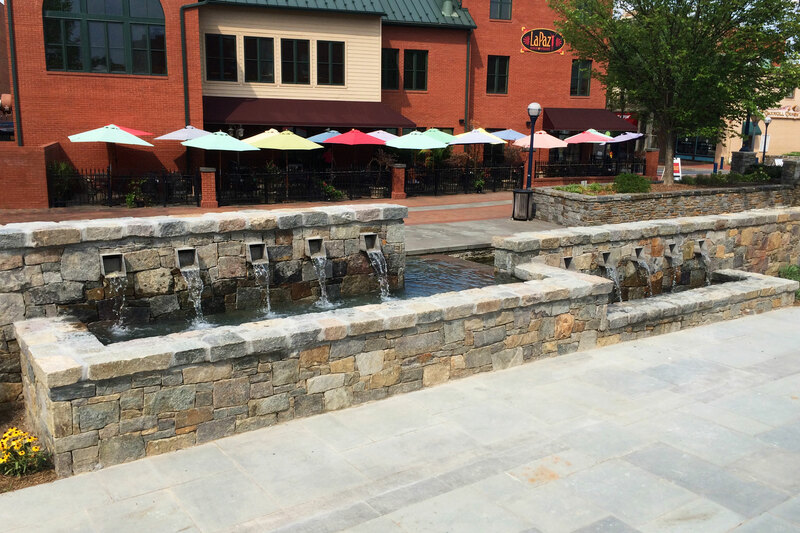 The East/West phase of this project is located in a retail outlet courtyard. 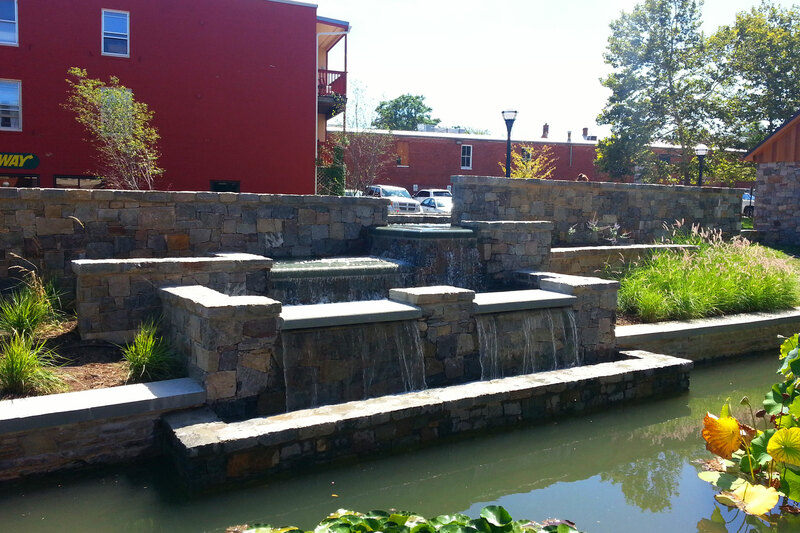 The fountain is a tiered waterfall along a brick wall, with scuppers pouring out of the other side of the wall.